Time to sell your Perdido Sun condo? Read about today's resort-market buyer. 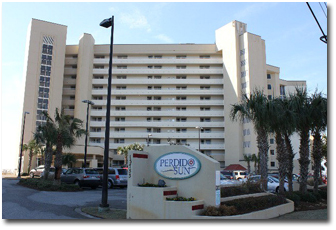 Perdido Sun condominium is located on the beautiful beaches of Perdido Key, Florida. This part of the Florida Gulf Coast is littered with wildlife refuges and state parks and far from over-built, making it a nature lover's dream.The Perdido Sun condos were built 1985 and the floor plans range from one- and two-bedrooms ranging in size from 820 to 1,120 square feet. All condos in Perdido Sun are directly on the Gulf of Mexico and amenities include an exercise room, game room, gazebo, indoor pool, and laundry facilities. Please let us know if you would like further info for Perdido Sun or any other condos, homes, or real estate along the Florida Gulf Coast or would like to schedule a private viewing by emailing info@condoinvestment.com or by calling 251-504-1121 for immediate assistance. RENTAL TIPS to increase your Perdido Sun rental revenue.